This blog post comes to you from Syracuse, Sicily, where I am spending a few days away. The sun is shining, the Vespas are honking and after a very slow writing start to the year (more on that here) it feels amazing to be finally getting back into the swing of things again. I’ve been enjoying my lenten digital detox but with Easter right around the corner, I’m counting down the days until I can return to social media. Because as nice as the break has been, I’ve been missing the creative outlet that social media (and this website) gives me. I find so much joy in blogging, so it’s not really surprising that I absolutely LOVE reading blogs too. I arrived to the party a little late. In fact, I’ve only really started reading blogs over the last couple of years. And I wish I’d discovered them sooner! I think the main reason I love blogs is that they provide a kind of authenticity, that the highly edited world of Instagram and the fleeting nature of Twitter just can’t give me. It’s interesting how in the age of social media, we still crave long-form writing. There’s nothing better than getting lost into a big meaty blog post where somebody really dives deep. The current popularity of ‘over sharing’ our personal lives, whether that’s on Instagram, YouTube or through the written word, tells us something. We crave the personal and the intimate. We want to know what other people eat for breakfast and do on their holidays and their innermost thoughts and desires. We want to know their favourite make up routines, what they’re struggling with and how they clean their kitchens. Their insecurities and their aspirations. Their highs and their lows. It’s the same reason why we are turning away in droves from the glossy pages of women’s magazines. This new kind of media helps us feel a little less alone in the world, a little more connected and, if nothing else, satisfies our burning curiosity. In this new arena, where the more raw and honest you are, the more people will connect with you, means that people are laying their hearts on the page. You come to know somebody, like a true friend. And this is why blogs are hugely personal in a way that magazine columns just aren’t. This is why bloggers (and vloggers) keep engaged readers over years and years. And form communities online that have real support and friendship. As much as I love Instagram for snippets of every-day life, there’s nothing quite like the personality that comes across through honest and authentic writing. And this is why I LOVE blogs. Amber is a UK based blogger whose down to earth and hilarious blog posts always have me chuckling out loud. She’s opinionated, refreshingly honest and has the rare skill of turning everyday occurrences into riveting tales that always leave me feeling uplifted and entertained. After getting over the cryptic name, SF girl has become one of my favourite blogs to peruse for travel, interior design and fashion. It’s minimal on the words but big on visual inspiration and I love the Parisian/San Francisco/Wes Anderson vibes of this unique blog. It also has a beautifully curated online shop of flea shop finds and quirky fashion. Oh so pretty! Another interior deco blog (I love interiors if you can’t tell!) from a Surrey girl with a penchant for pink, house plants and well-written lifestyle posts. I love Chelsea’s down to earth posts and her personality really comes through in her writing: definitely one to check out if you love a well styled #shelfie as much as I do! 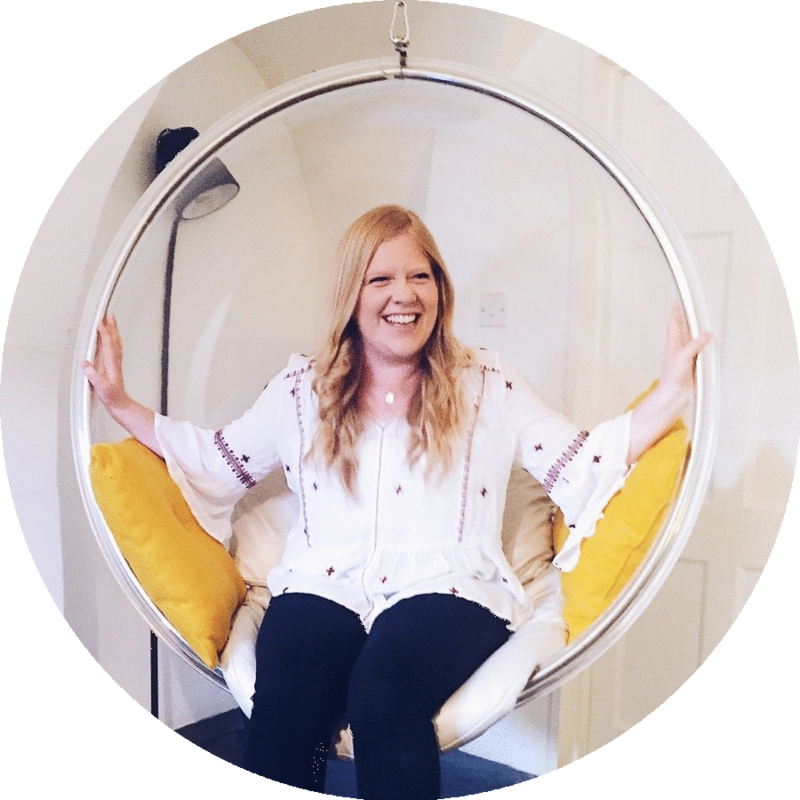 Katie is a blogger from the East Coast US who’s endearing personality, honest posts and travel diaries leave me feeling like I’ve been chatting to an old friend. She is especially brave in talking openly about her experiences with PCOS and miscarriage, things I think a lot of women want to hear. And I also love her posts on health, faith and style. There’s definitely a little bit of everything on her blog and she is one my favourite people to follow on Instagram. For DIY projects, decor inspiration and party-styling ideas as well as lifestyle posts, Sugar & Cloth is fun, vibrant and jam-packed full of ideas that always make me want to throw a party just so I can whip out the glue gun. One of the very first blogs that I started to read, Hannah Gale is always hilarious, brutally honest and manages to voice the experiences of a whole generation of twenty-something women navigating their way through the murky world of work-life balance, first time motherhood and the pressures of social media. I don’t often browse food blogs despite my love of cooking, but the recipes on a Cookie & Kate are always straightforward, delicious and healthy. Each recipe comes with a little intro from Kate and ideas for alternative ingredients, so you feel like you’re in a friends kitchen. To stay up to date with my latest posts go and follow me on Bloglovin’ or Instagram. Or you can find sugar + stripes on Facebook.